First Choice Roll-Offs – Staff, Trucks & a broad Selection of Containers. First Choice Roll Off works with WasteCap Nebraska, and their partners to assure a healthy community for the residents of Lincoln and Lancaster County. First Choice Roll-Offs work with the Lincoln Health Department and their partners to assure a healthy community for the residents of Lincoln and Lancaster County. 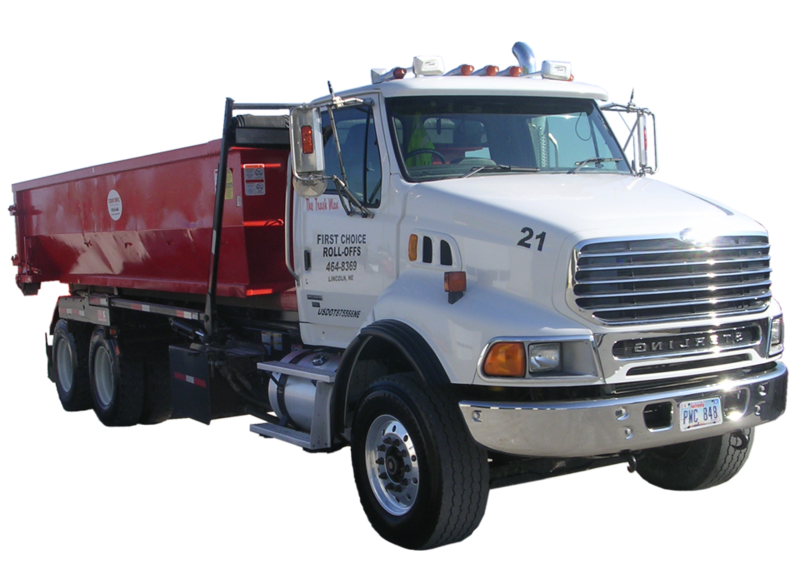 Find out more about First Choice Roll-Offs Equipment. See what we have to offer to ensure cost effective and timely service that meets your roll-off requirements.